Yeah right! Like she'd let me show you how messy her work space is right now! Her projects are totally top secret anyway, so even if I could get a picture, it would have to be redacted! She checked her calendar and thought to herself, “Hey, I think I really need to have a billion projects, deadlines to meet, a wedding, recitals, and at some point try to eat, sleep, and be a mom.” For some reason she felt overwhelmed with all she had to get done (I can’t image why) and realized that as much as she wanted to blog, she didn’t have the time. So here I am! Wait… don’t leave… don’t give up on me now… you haven’t even gotten to know me yet!!!! 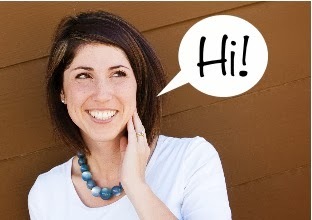 Hi, I’m Liz, I’m technically the shipping department here at V and Co. Which basically means my closet is engulfed of boxes of amazing patterns that I mail to all of you guys! You may NOT recognize me as the friend who helped make the Minion and turtle cakes for her noisemakers birthdays. You may, however, recognize my daughter though, she’s the cutie seen with the Confetti Quilt and those are her rolls featured on the Bubbles Quilt! Of all the people to write a post for Vanessa, you’re probably wondering what amazing skills does Liz have that she’d be worthy of the V and Co. blog?!? Well actually as far as sewing is concerned I have ZERO skills. No, wait, don’t leave the blog yet!!!!! 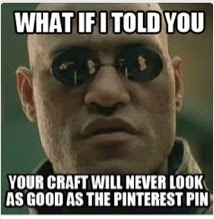 I would have to say when it comes to my sewing projects; probably about 60%-70% should be featured as a Pinterest Fails. I, sadly, do not excel in the art of sewing, or pretty much anything requiring artistic talent! I tried knitting once. At one point, in a knitting rage, I exclaimed, “Knitting makes me angry.” I then turned into the Hulk and threw my yarn, needles, and lumpy scarf across the room and I NEVER knitted again. True story. 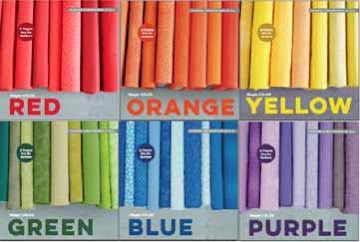 However, I have had some sewing successes and not surprisingly most of them have been Vanessa’s patterns and tutorials! I’ve busted out some pretty cute appliqué canvas bags, attempted dying fabric to obtain an ombre effect, and remember the adorable ruffle skirt and ruffle tote??? Not only did I make those, I even was inspired to make ruffle pillows and a spectacular ruffle scarf. 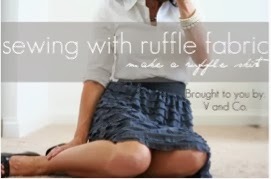 It was a ruffle-tastic Christmas. I eventually got brave and stepped up my game and attempted some more intense sewing. I decided to tackle the Bloom Quilt. 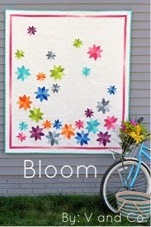 Ok, so maybe I was semi-brave and made a baby blanket sized version of the Bloom Quilt. I was blown away with how easy it was to make and how beautiful it turned out. I made it for the previous pictured cutie pie. I think she’ll really appreciate it when I finally give it to her when she’s like 30… Seriously people, that thing is white and as precious as that little girl is I’m not chancing any snot, drool, or any other bodily grossness that comes out of her getting on there!!! 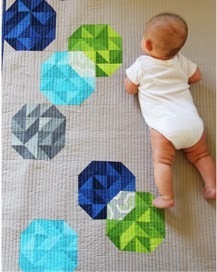 So, to all you talented people out there who make gorgeous quilts like Vanessa, you guys are pretty much amazing! I am in utter awe of your skill! Oh and all you novices like me out there… Be BRAVE!!! Try making something new! It won’t always be a Pinterest Fail, I promise. It may even be easier than you think. 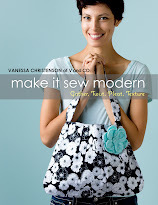 I promise Vanessa will be back as soon as I can pry her away from her sewing machine. You can always get little glimpses of what she’s up to by check her out on Instagram and Facebook. And by Vaneessa I mean Vanessa. Oi. Nice to meet you, Liz. Cute post! Yeah, but you do have one thing fabulously in common with Vanessa...your mad blogging skillz!!! What a fun read! baby is so adorable. Vanessa is lucky to have an almost in house model. 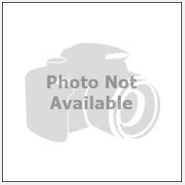 Welcome to blogland and give Vanessa a hug for us. Lol, love your blog style! If you don't have her sewing skill you have her blogging skills :). I too have made things for my grand daughter that she won't get till she's 30. I don't think she could even find them in her room if i did give them to her now. Thank you so much for filling in for the MIA Vanessa. You did an awesome job! Your post was funny and inspiring. Thank you so much! 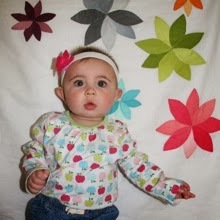 The bloom quilt definitely takes patience to flip all those petals inside out! I used pens, chopsticks, needles, pretty much anything I could shove in there to help the process!! Ha!! Don't worry if the petals aren't perfect because when you make the blooms you lay them on top of each other and you can hide odd shaped ones, which I had a ton of!!!! When it's done you won't even notice! Good luck, you can do it! I want to grab that baby of yours and kiss all of her rolls--in a grandmother type way!!! Oh what a cutie. Funny blog.